"Daddy, Daddy, what will we see there? 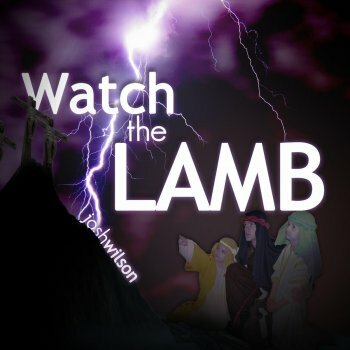 There's so much that we don't understand"
And I said, "Dear children, watch the lamb"
We must be sure the lamb doesn't run away?. Then I heard the crowd cry out, "Crucify Him!" Why upon this day were men condemned to die? Why were we standing there where soon they would pass by? I looked and said, "Even now they come". I still can hear his angry voice screaming at the crowd. The cross came down upon His back, the crowd began to yell. Yet upon the Cross I heard Him pray, "Father, forgive them"
"Father please forgive us, the lamb ran away"
"Daddy, daddy, what have we seen here? There's so much that we don't understand." Then I said, "Dear children watch the lamb"